An absolute steal! This restaurant has lost it's chef, and was forced to close! Priced NOW as an asset sale! Beautifully decorated, from the floor to ceiling wine display, to the silk wall paper. 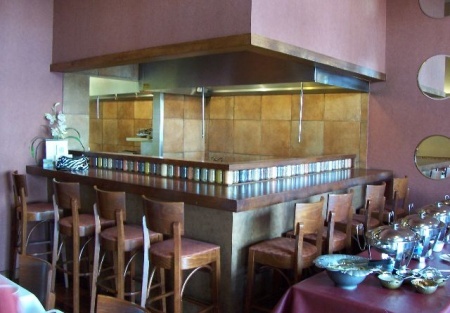 This location can remain an Indian restaurant, or change to Continental cuisine, or a steak house. Located in a high-traffic, "must see" strip mall. Restaurant has 1,490 sq. ft., with a base rent of $4,190. DO NOT MISS THIS RARE OPPORTUNITY!! Please select one of the bright orange buttons below to get the name and address of this business along with more photos. It requires one to register, which costs nothing. All that's needed is an e-mail address, name, address and phone contact to register. Simple as that!This is a Business Intermediaries, Inc. listing. A great opportunity at an unbelievable price!